With a new year in full swing, high school and college students are currently surrounded by lots of information about the Free Application for Student Aid (FAFSA). The application is available starting Jan. 1, and most funds are awarded on a first-come, first-served basis until depleted. That’s why Scholarship America encourages families to look at the FAFSA together as soon as possible, and why your students should submit their applications sooner rather than later, maximizing their chances for receiving federal aid. Submitting your FAFSA on time is important for more than just federal and state financial aid, too. Did you know that the FAFSA also helps with scholarship applications? Many scholarship programs consider a family’s need for financial aid, as demonstrated on the FAFSA. They may even require you to demonstrate need as part of a program’s eligibility. For example, the prestigious Gates Millennium Scholars Program lists several qualifications, including meeting Federal Pell Grant eligibility criteria – for which your student will need to fill out a FAFSA. If you claim your children as dependents, you’ll need to provide your family’s tax information, including numbers from places like your W-2 and most recent tax return. Federal Student Aid states that, ideally, your student would complete a FAFSA after you’ve already done a tax return. However, if your 2014 income is similar to 2013 income, you can get an early start by using 2013 numbers as an estimate. You don’t want your son or daughter to wait too long when completing the FAFSA – otherwise, as we noted above, they might miss out on federal and institutional awards that are given on a first-come, first-served basis. We encourage you to use estimated numbers to start; once your 2014 taxes are filed, your student will need to update any estimates provided in their FAFSA. It’s possible that the FAFSA will ask for other financial information, like interest income, the net worth of any businesses you own and whether you took advantage of education tax credits. These questions are asked to present a full financial picture when Federal Student Aid determines financial need. The FAFSA PIN is used as an electronic signature for the online FAFSA. You’ll need your own PIN – apart from your child’s – to help complete their application. If you have multiple kids in college, you can use the same PIN for all of their applications. Note that starting April 2015, the PIN will be replaced by a username-and-password combination. Right now, you may have noticed that Federal Student Aid websites ask your student to log in with a several pieces of information, including PIN and Social Security number. Your family will probably find the single sign-on process easier to navigate! The FAFSA may seem tricky, but by knowing what’s ahead, it won’t take very long to complete. Fortunately, there are lots of resources available to lessen the confusion. For starters, we recommend that your family take a look at StudentAid.gov. As the office that distributes federal aid, they provide a wealth of information online. We also recommend CollegeUp.org, presented by USA Funds. 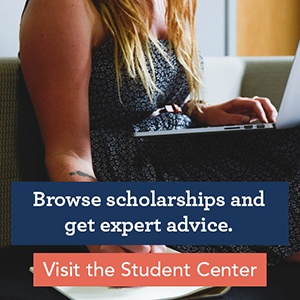 This website provides expert FAFSA and financial aid advice for students. The more you and your students know, the more successful they’ll be in completing the FAFSA, and in getting started with scholarship applications.